Cosmos ‘Purity’. The Second Best Cut Flower In The Known Universe? To determine the answer to such questions one should define the question more clearly…ie…does the ‘best’ mean the most beautiful….the easiest to grow….the most prolific…the one that lasts longest in the vase……..or the one that rocks out and turns the amp up to 11. I’m going with the latter. The Greeks named Cosmos…they said the petals are ordered in such a perfect way they are in line with the harmony of the Cosmos…….well…..something like that. ‘Purity’ is derived from a very old variety called ‘Great White’…which is frankly a much better name….at least in my alpha male/bachelors mind. 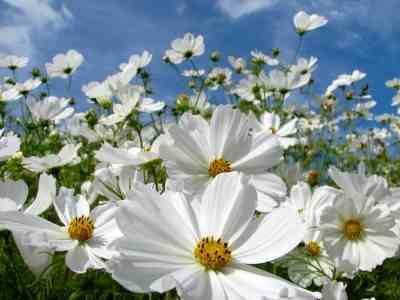 How To Grow Cosmos ‘Purity’. *Either sow your Cosmos ‘Purity’ seeds direct into the soil after all threats of frost have disappeared….or sow six weeks earlier in pots…in a greenhouse or on your windowsill. Best just not be in too much of a rush to get them started…one bit of frost and our Cosmos chums will keel over…and you will be all sad…guilty….and be in the shallows of despair….well…maybe. 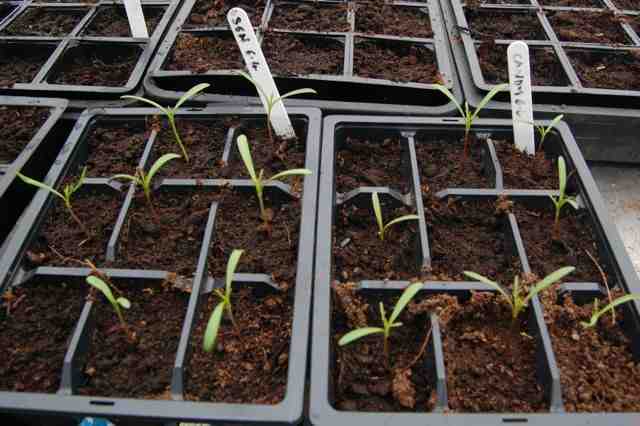 I sow mine from April (undercover)…outside after 15th May…and this year I will also sow a much later batch and see if I can have flowers into December….here in the mild climate of Cornwall I’m sure this is possible. *Prepare the bed you are going to grow them into…make sure it gets lots and lots of sun and is weed free. *I thin my seedlings to a foot apart…many other flower folk sow two feet apart….either way your plants will need staking if the site is exposed. ‘Purity’ will easily grow to four foot and often five foot with a good summer. *Don’t feed your Cosmos as too much nitrogen will give you heaps of green growth but few flowers…a poorish soil is fine. *When you harvest cosmos flowers…cut them just above a leaf node and this way you will get some more blooms. Other great Cosmos to grow are ‘Pied Piper‘ and ‘Sensation‘…I grow all three…. 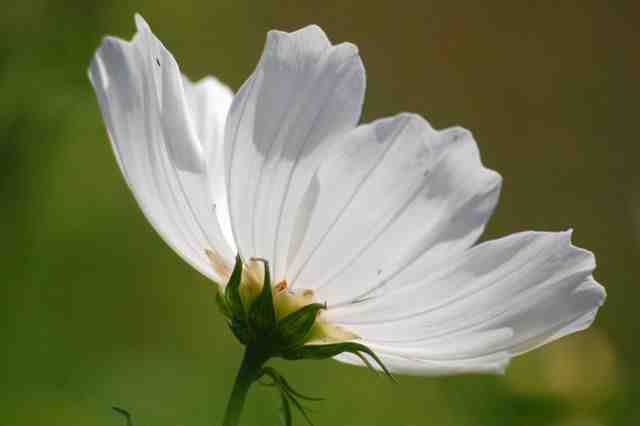 I sell Cosmos ‘Purity’ at £1.95 for 50ish seeds.